And, finally. Here we are: the final episode! I’m sad for two reasons: First, that Coffee Prince is over. And second, that the finale wasn’t nearly as good as it could have, or should have, been. Don’t get me wrong; it was a perfectly serviceable final episode. It was cute, and we had a happy ending. For that alone, it was fine. I’ll leave off commenting on the rest till the end. Han Gyul and Eun Chan wake up from their night together feeling happy but bashful. Han Gyul is so flustered he hurries to dress as Eun Chan wakes up, and puts both legs through one pant leg, causing him to fall to the ground onto some conveniently dropped pillows. Eun Chan knows her mother’s going to kill her when she finds out she spent the night with Han Gyul, but she’s not so panicked that she can’t first have breakfast with him. Han Gyul tells Eun Chan not to grow her hair or wear miniskirts when she’s in Italy: “If men ask if you have a boyfriend, tell them you’re married. No, just stay invisible.” Sobering to the fact that she’s leaving soon, he cautions her to take good care of herself. They’ll have to go on dates every day before she leaves; he’ll take her all the places she wanted to go to before. Driving in to work together, Eun Chan gets a call from Eun Sae, who tells Eun Chan she owes her. Eun Sae covered for her, telling their mother that Eun Chan had left early for work. Ha Rim sees them arriving to work together and immediately senses something different. With glee, he guesses the truth and tries to go around proving it. He manages to sneak up on them, and singsongs his congratulations to the couple. Han Gyul goes out of his way to sneak a present to Eun Chan so she’ll find it while cleaning, which turns out to be a pair of shoes (for comfort, since baristas are always on their feet). Eun Chan wonders if it’s okay to accept, because there’s a saying that you shouldn’t give your lover shoes because they’ll run away from you — but Han Gyul has taken proper precautions, writing inside them: “You’re mine!” and signing with his name. That night, Eun Chan falls asleep while on the phone with Han Gyul, and he leaves her on speakerphone — and awakens the next morning with a laugh to realize Eun Chan is still snoring into her phone. He hangs up and calls back to serenade her with the song “I Love You,” originally sung by Han Dong Joon. Next is Sun Ki: “Take care of yourself, and come back safely. You’ll do a good job — I have faith in you.” For once, Ha Rim has the fewest words, tearing up as Eun Chan tells him how much she likes him, even if they’ve fought in the past. He cries, and leaves her with a goodbye letter without being able to say anything. Meanwhile, Han Sung and Yu Ju’s marriage has been going well. Yu Ju has taken special care to refrain from working or going out to meet friends to watch out for the baby, but still, she encounters trouble. She experiences pains that send her to the hospital, and (the implication is that) they lose the baby. Han Sung comforts her (without anger or resentment, merely worry). And then, we’re two years later. Eun Chan’s voiceover reads the various messages she’s sent to Han Gyul over the past two years via postcards, which he has posted up on his refrigerator. Han Gyul has been busy working with the company to franchise the next store — Coffee Princess. Min Yub has been working as a model, while Eun Sae works with the behind-the-scenes staff. They’re still together, and at her suggestion, he’s changed his modeling name to simply “Hwang Min.” (Eun Sae’s nickname for him, though, is “Yub.” I wonder if part of her suggestion, aside from professional reasons, was so she gets to be the only one to call him that. It’s cute.) It’s nice to see her so proud of him for something, which is a nice change from their early relationship. Han Gyul is eagerly counting down the days to Eun Chan’s return, so naturally he’s shocked and panicked when Eun Chan mentions the possibility of staying in Italy for another year to further her studies. It’s a great opportunity for her, her tuition will be covered, and she’d like to stay… Han Gyul yells an insistent no, and reminds her that she signed the contract with his grandmother to come back after two years. He’d even planned the opening of the new cafe to time with her arrival. She asks, “Then should I give it up and return?” and tells him she’ll forget the idea since he doesn’t like it… which makes Han Gyul feel guilty. Ha Rim, who’s in charge of the interior design for the new Coffee Princess cafe, has been dating Byul for the past two years. I find her inclusion in the story pretty pointless, but I suppose she’s there to give some promise of a happy ending for Ha Rim. She brings up the fact that Ha Rim’s family is going through tough times (they had to close their hospital), which is another weirdly tacked-on story bit. But okay. Likewise, a new girl walks into the Coffee Prince one day to earnestly request a job there, and the girl seems to serve the main purpose of giving Sun Ki a potential happy ending too. The girl (who also had a minor role in Dal Ja’s Spring) gets on Sun Ki’s nerves, until she responds to his grumbling in fluent Japanese, which is a welcome surprise. It’s also hinted that she’s sort of an Eun Chan version 2.0 — Ha Rim’s reaction to her appearance echoes the very words he first said about Eun Chan, she’s cheerful, she’s 24, and I think she’s supposed to be tomboyish (although the actress is too feminine for that to come across well). Even Mr. Hong gets a storyline, meeting his long-ago love (the good liar) by chance and having a brief conversation with her. She’s married and has a child now, and I suppose his sense of closure comes when he gets up to leave, and she tells him, “Go on. This time I’ll be the one who stays behind.” He answers, “Sure, I’ll try being the first to go this time.” Closure’s good and all, but I never really felt his story was opened enough to require closing. Han Sung tells her that he thinks they should stop going to the hospital, which I surmise is because they’ve been trying to become pregnant. Yu Ju suggests they go away on a trip together. Later, Han Gyul has a somewhat disappointing interview with a potential barista, who wants double the pay that was offered. After she leaves, Eun Chan arrives unexpectedly, rendering him stunned and speechless. And naturally, everyone at Coffee Prince is thrilled to see her (and shocked at her new look). And Han Gyul tries out his coffee-making skills for Eun Chan. This episode left me smiling widely and feeling good. It was a nice wrap-up to a series that turned out to be surprisingly more insightful, fun, and engaging than I’d hoped when I first started watching. I re-read what I’d written in response to the first episode, and was particularly happy to be proved wrong in initially supposing the series held little promise for profound meaning. As a final episode, I didn’t particularly find this 17th hour to be anything extraordinary. I seem to be in the minority in having absolutely no problem with the “__ years later” device, at least on principle. Some series misuse the time skip in a lazy or poor way, and some use it very well. My disappointment with the last episode has nothing to do with the fact that they skipped two years. It’s merely that this episode felt like a (very, very) long epilogue. They could have cut it in half and been fine. It felt like a tacked-on extension to a series that had been so popular that its very talented director and writer were forced to artificially lengthen its material to fill an extra hour. Imagine that. But when all’s said and done, I thoroughly enjoyed Coffee Prince, and didn’t tire of it at any point through its conclusion — which is remarkable, given the pure statistics: seventeen episode summaries, twenty novel recaps, and an additional ten posts on miscellaneous news items and behind-the-scenes interviews. That’s a whopping total of forty-seven posts, and I won’t even dare to do a word count, but I’m guessing it must top out at more than 60,000 words, at least. That’s the size of a novel. And the comments from everyone! All 2,830 of them. That makes Coffee Prince nothing short of a phenomenon. Thanks to everyone for participating in what has been an overwhelmingly pleasant fandom (as far as I can tell), and here’s to hoping it’s not too long before we get another series (and fandom) that’s as widely entertaining and engaging as this has been. i get to post the first comment! wuhooooooooooo! nver thought ud posted the blog of the 17th cup. i was sooooo happy to see it on my monitor since its 3am here and i was about to sleep. Okay, I haven't even read the summary and I'm already tearing up with excitement and joy. Thanks so much for this service. I'm sure it is going to be sad and great. Thanks!!!! Thank you so much.....You are so fast!!!!! YaY! I'm the first one to leave a post this time.. Good Then... Hello Javabeans, Dramabeans, Sarabeans, or whatever. Thank you for sharing your work with us fanatics. We will miss Coffee Prince, and we will revisit them time and again. Hoping to see more of your work. Whoa! First!!!! Been lurking the past week and getting my fix of CP!!! Thanks sarah for the wonderful insights. Love the summaries, even the comments. Hope there's another series down the road that would make us all as excited as CP did. Kansamnida. wow i have been refreshing this page so manyyy timess! i even tried to attempt to watch the raw episodes! so THanks! thank you very much for all your servings of great coffee. we are all pleased with your blog and will always be a part of the coffee prince memories. without you, i dont think we will make it through. ok, it sounds like a love letter olready...but you get the point. right? thank you very much, see you at the next kdrama phenomena! I'm sad to see it end, but it was surely an enjoyable ride. Thanxs for the summaries Javabeans! wow! you are really fast today!!!!great! thanks! Thank you so much, to be frank your insights into this series has made it all the more enjoyable and memorable! i jst had to come back and make a follow up 2nd comment (of reading the blog first) and i was shock to find there were already 9! hehehe. I really enjoyed your synopsis. Good work. Thanks for being so quick with the postings. Till the next kdrama. Thanks Javabeans! Your summary is always top quality. Can't wait to actually see this episode with sub. wow, sooo early.... i miss it already. haven't read it yet though.... hug javabeans... thank you! you're the best! i'm gonna be missing your post on this series. this is what actually started my habit of checking your site. thanks to coffee prince, i found a blog that caters to my k-drama addiction-- one that is insightful its content and very much well-written. dang! and i thought i was 2nd post!!!.. I really really really enjoyed reading your blog. You are the best! WOW, thank you for the summaries, all of them ^^. This definitely was one of the good ones. Can't wait for the next best hit - one that will keep me waiting to see what happens next week just like this drama did. dear javabeans, thank you for bringing us through our CP journey. HG and EC will remain one of the best couples in K-drama for me. Don't they get awards for such things? When do they usually know? This is my first time posting here. I've been reading your coffee prince summary from the first cup and they really helped me a lot. Thank you soooooo much for spending your time and sharing your work with us!!!!! you are so quick!!!! thank you, thank you, thank you for your wonderful summaries. i watch the raw vids and then when i check your website, there is the summary waiting for me. your summaries are so satisfying that i find that i don't even need to watch with the subtitles. i hope that there will be another fun drama for you to summarize and for us (me especially) to enjoy. thanks again. TQ javabeans.. i love the ending :).. perhaps there is CP2 after this.. i can't wait to see EC and HK again..
it felt scattered, which i guess is appropriate because that's what we (who have watched and read) will begin to do this week. scatter from our weekly cyber visits. i've enjoy this series - the music as much as anything. and i've made several new friends, who i will continue to support in anyway that i can. you can count on me javabeans! 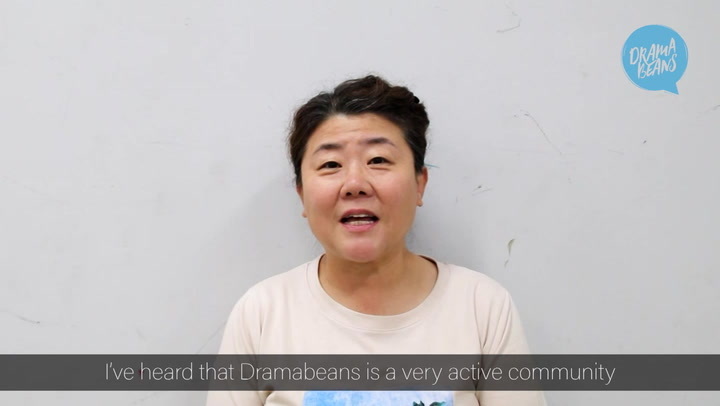 Javabeans, you are our MY CHAN-NAH! Words can't express how grateful we all are for your hardwork summarizing CP for us. Maraming salamat! Thank you very very much! CP's ending isn't so bad. It wasn't cliche either. Neither it was spectacular but it remained consistent with its laid-back general feel (of the entire drama). It was a good ending, considering it was extended. I'm happy. I think majority of us does. I'll surely miss this kind of banter with the rest of your fans. It's been fun camping and joining your coffee group. I hope Coffee Prince becomes a catalyst to a more interesting genre in kdrama. Kudos to Coffee Prince! awesome! thanks for the summary! i can't wait for the next project that yeh and yoo will take..
i've never enjoyed watching a k-drama like this before..
like what i said at soompi... as i watch the ep 17 again and again.. it grew on me..
of course they could have done better but... it left me feeling good and actually made me happy.. knowing everybody's gonna be alright..
im gonna miss CP soo much! must comment now that i've actually read the summary. is it only me but didn't other people want to see a wedding at the end. 2 years later ... i think there should of been more development. i guess the ending was consistent with the rest of the episodes ... there was terminal illness ... no terrible secret exposed and etc. sad to see it all end. Thanks Javabeans, forever and ever!!!! ahh i'm so sad it's over--my emotions are still in knots. whoever did the casting for this show is a genius, because these characters really stick to ya. thanks for all of your hard work--you've truly helped me (and countless other non-korean speakers) through this series. you're the BEST! hey thanks javabeans for all of ur summaries they rocked!!! and u were doing a awesome job sumarizing them that i did not have to watch the whole dramas!!! ^^ thanks and keep up the good work!! oh god..you are so right javabeans..The ending wasn't so extraordinary and it's like they just made an epilogue longer..It wasn't half bad(this episode)..It's okay though..at least here is the last episode and I got to read it..sorry..I'm just so sad coz this is already the end of coffee prince and pissed off coz I was about to proclaim that this is the best drama that I've ever watched..It was okay throughout the entire drama but the ending just made me crap in my pants..yeah..that bad..coz in my mind,rather,in everyone's mind, we pictured something better that this..coz in episode's 1-16 they didn't drag the storyline even one bit..but this final episode..god..it's like their goal is to just finish the whole one hour of the show..I mean come, who wouldn't be so pissed off? This was a very quick summary!! ;) I was expecting to be waiting for another couple of hours at the least. Did some parts feel like they were there just to give everyone a happy ending? Of course they did! But I guess, like you said, they needed to fill the hour and wanted to make everyone happy - viewers included. I can just imgine the comments if SK had been left all alone - I'm glad he finally found someone to talk to and to smile at (even if I do feel strangely jealous that the new girl got his rare smiles and not me). It's been a pleasurable experience. Waiting every monday and tuesday for your updates has certainly made my start of the week for the last two and a bit months more interesting. I'll be shocking my professors when I actually attend class prepared, which will be a nice change. Sarah, you've made the korean drama accessible to people like me who have fallen in love with the format but don't understand a single word spoken. Thank you for your patience and care in writing like you did. apologies for the double post - 30th?? Yeah right!! Who was I kidding by reserving the number? More like number 44 - that's 14 more posts while I was typing (and it only took 5 minutes)!!! Awww...Yaaaay!!! I am so happy with the ending!! Thank you for the summary I am so looking forward to watching the episode now!! !